The happiness of a couple in a relationship sometimes relies on the one fact: having babies. Sometimes couples desire to have a baby to feel grounded and to give them a motivation to strive every single day. Sometimes couples also want to slow down time and enjoy their lives free of the responsibility of rearing a child. Both circumstances are understandable. The pace of a relationship varies greatly on how comfortable each individual is when taking on new roles in the family. This is why it is important that couples start tracking fertility cycle of the woman. Ovulation typically occurs every 28 days from the first day of the woman’s menstrual cycle. While some women can keep track of their cycles easily by counting down the days, for some it is difficult if not totally impossible. This is because fertility cycles vary greatly among women. This makes the 28-day cycle a myth in some couples, which in turn results to constant anxieties whenever they want to plan for their child naturally. Thankfully, SoftOrbits has developed a fertility tracker app for women. With this app, couples need not worry about the possibility of pregnancy nor the disappointment of failed conception. 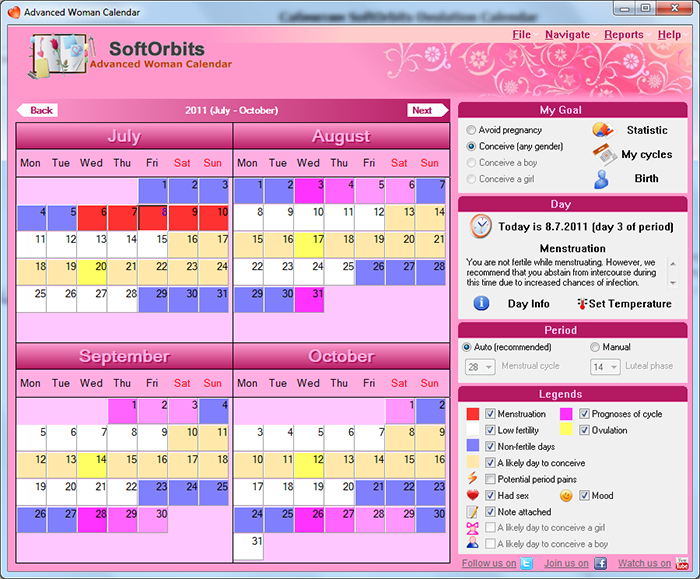 SoftOrbits’ eOvulation is a fertility tracking calendar which helps women monitor their cycles, regardless of the regularity of their ovulation period. 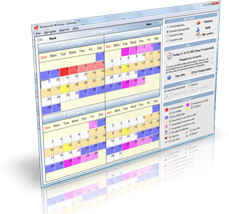 This calendar also has the Advaned Woman Calendar, a program that can help couples time conception so that they can either have a girl or a boy. With this program, expecting parents will feel more relaxed and can start to plan their shopping knowing that they will have either a girl or boy. eOvulation also makes it possible for couples to avoid getting pregnant and enjoy their freedom in their respective careers. The future of couples is guaranteed to be worry-free with this app.